Welcome to the Dayton's Bluff Neighbors Forum! 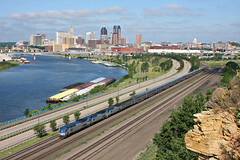 This forum is a place to share announcements and discuss community issues and life specific to the Dayton's Bluff area in St. Paul. Review the Charter for details (draft). 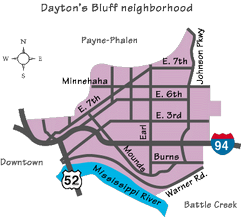 While independent, this forum is a friendly complement to the important work of the Dayton's Bluff Community Council. Participate via e-mail or the web. See below for Facebook and Twitter options. Diversity: 60.5% people of color, including 23.8% Asian, 16.2% Black and 15.0% Latino. 39.5% of the population is White, non-Hispanic. 60% of households earn less than $50,000/year.